Below you can view all the homes for sale in the Stoneoak Pointe subdivision located in Marietta Georgia. 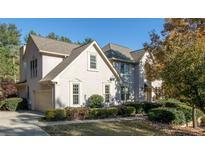 Listings in Stoneoak Pointe are updated daily from data we receive from the Atlanta multiple listing service. To learn more about any of these homes or to receive custom notifications when a new property is listed for sale in Stoneoak Pointe, give us a call at 404-998-4102. The Oversized Garage Can Possibly Fit 4 Cars! MLS#6504216. Solid Source Realty, Inc.. Very Gentle Slope In The Private Wooded Backyard That Has Plenty Of Room For Play Or Entertainment.Move In Ready!! ! MLS#6099511. Keller Williams Rlty Consultants. Very Gentle Slope In The Private Wooded Backyard That Has Plenty Of Room For Play Or Entertainment.Move In Ready!! ! MLS#8486069. Keller Williams Realty Consult. Home Comes With A 30-Day Buyback Guarantee. Terms And Conditions Apply. MLS#6073443. Opendoor Brokerage, Llc.